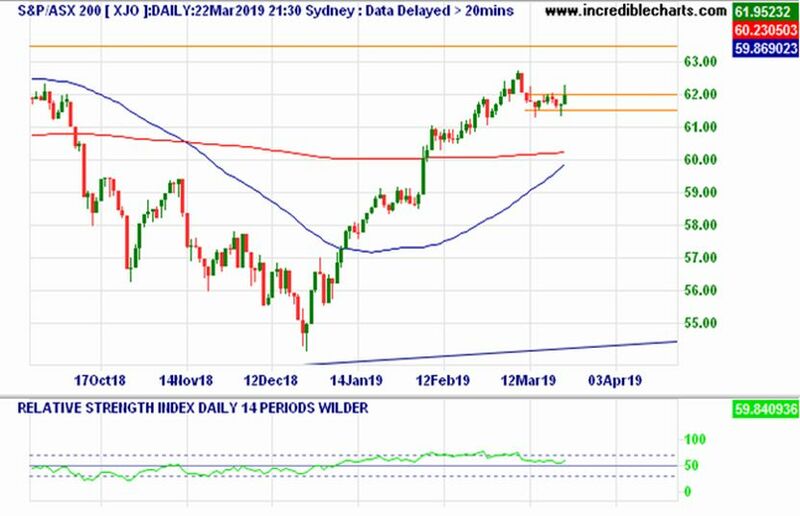 Another week going nowhere as can be seen by the trading range below on the daily ASX 200 chart. 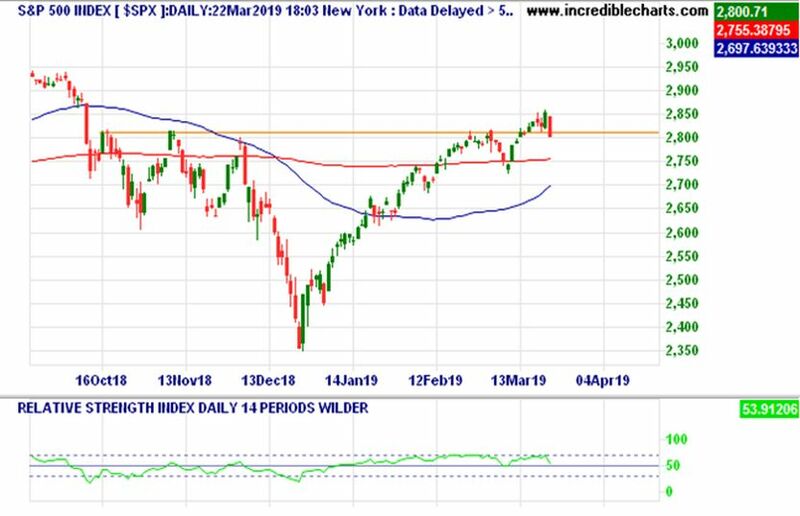 Trading ranges can transpire for lengthy periods of time but based on how narrow this recent one is next week will see a breakout either to the upside or the downside. 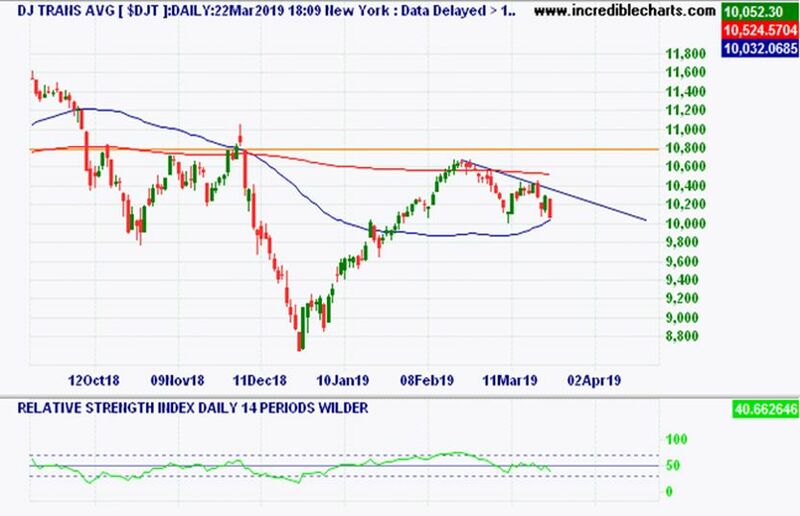 The analysis would suggest to the upside however the S&P 500 had a bearish range overnight accompanied with a short term down trend on the Dow Jones Transportation Index as illustrated on the chart below by the descending tend line. 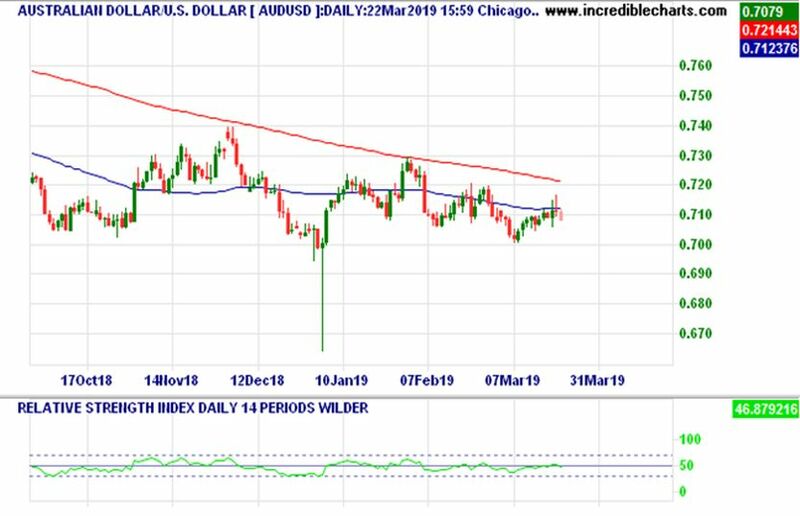 One factor helping keep our market afloat and something I haven’t touched on for some time is our dollar which is now hugging the downside of the 60 day and 200 day moving averages. It continues to be bearish in its price action especially on the daily chart. The weekly chart has some significant bullish divergence forming which I wouldn’t place a lot of weight on, at this point in time especially, considering the expected drop in rates in the coming months due to weakening economic growth and housing downturn. I would expect to see further weakening and hope that this helps buffer our ASX 200 into the future. Speaking of the future this next election is one the parties don’t want to win as they will get blamed for the inevitable recession on the horizon due to policy ineptitude that has gone before them and global macro forces out of their control. Notice the [US] 10 Year Note Minus the 3 Month Note below dropped by 9 in the past week and is just 5 away from going into the negative which we all know is over a 90% chance of a recession in the next 6 to 18 months. 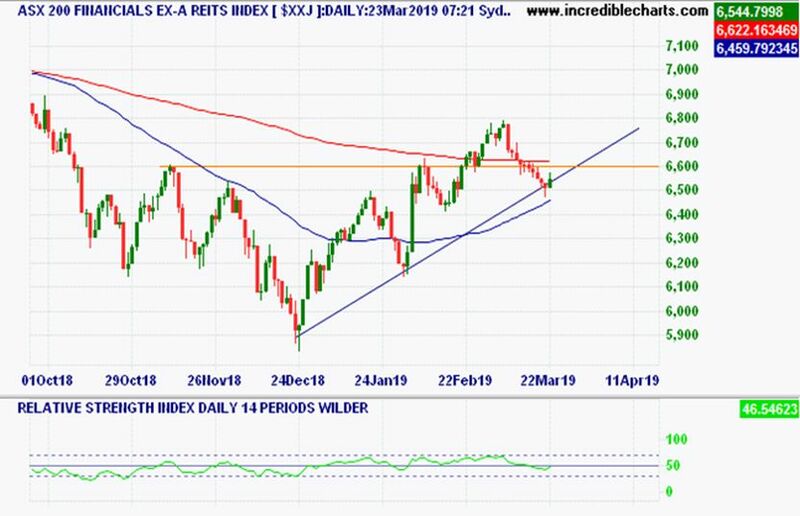 In summary there isn’t much to expand on from last week except that the next week will be pivotal in the short-term direction of the ASX 200, but I would like to point out that the ever-important market barometer being the Financials chart is at an interesting point. The first few days of next week will be critical as it is currently sitting right on the medium-term daily uptrend line after a good counter trend and is poised to break back up and continue the uptrend. Based on this I would expect the short term to be positive. Enjoy your week!